meeting— outreach that Jared Kushner subsequently failed to disclose, sources have told NBC. Earlier this week, the top Republican and Democrat on the Senate Judiciary Committee contacted Mr Kushner’s attorney asking for more documents from Mr Kushner, who is the President’s son-in-law and a top aide. 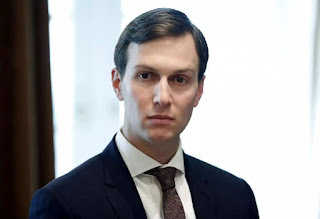 Specifically, the panel — which is conducting one of multiple investigations into potential collaboration between the Russian government and Mr Trump’s presidential campaign— said Mr Kushner’s attorney had not turned over documents concerning a “Russian backdoor overture and dinner invite”. According to NBC, that overture involved a Russian banker named Aleksander Torshin who is described as being close to Mr Putin. Citing multiple sources familiar with the matter, NBC reported that Mr Torshin wanted Mr Trump to attend an NRA event in Louisville, Kentucky, where Mr Torshin hoped to meet with campaign officials. Mr Kushner rejected the request and advised campaign officials to do the same, NBC reported, but Mr Trump’s son, Donald Trump Jr, ended up sitting next to Mr Torshin during a private dinner. The President has denied any collusion between his campaign and Russia, lambasting investigations as a partisan witch hunt. But evidence that Russian-linked actors sought to contact the campaign has steadily surfaced in recent months. It emerged earlier that Mr Kushner and Mr Trump Jr accepted a meeting with a Russian lawyer who was described as having damaging information about Democrat Hillary Clinton. Special counsel Robert Mueller’s Russia investigation has produced a guilty plea from former campaign adviser George Papadopoulos, who repeatedly sought to connect campaign officials to the Russian government. Mr Papadopoulos admitted to lying to the FBI about his meetings with Russian-linked individuals. While Mr Trump and his administration have described Mr Papadopoulos as a bit player with no influence, the campaign’s Instagram account had posted a photo of Mr Papadopoulos at a meeting with Mr Trump and then-Senator Jeff Sessions on a date that matches a meeting described in the court document laying out the case against Mr Papadopoulos. Now the Attorney General Mr Sessions has said he did not remember the meeting.